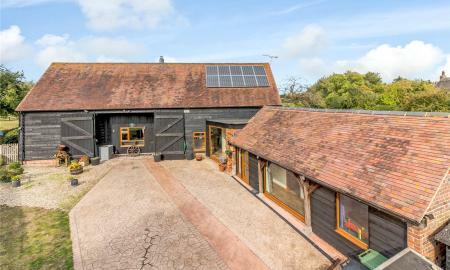 Wheatsheaf Barn originally dates back to the 17th century and has been lovingly converted into an attractive family home, with a contemporary single storey glass extension being added by the current owners. 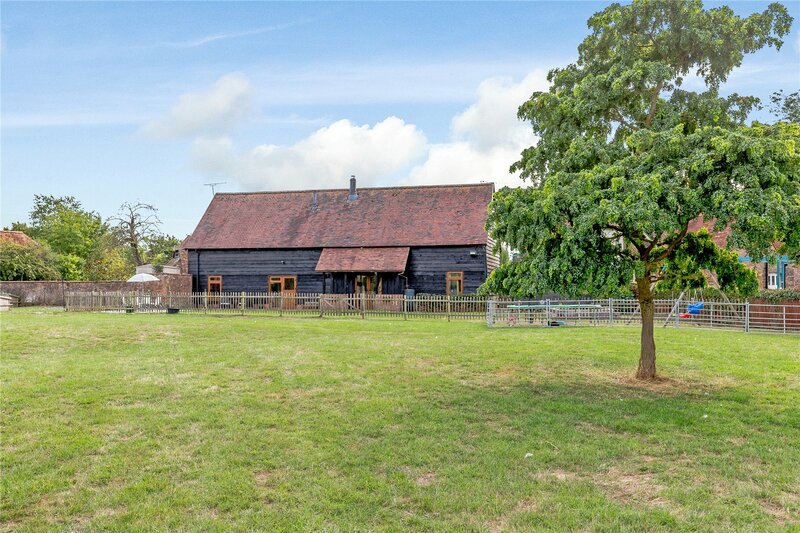 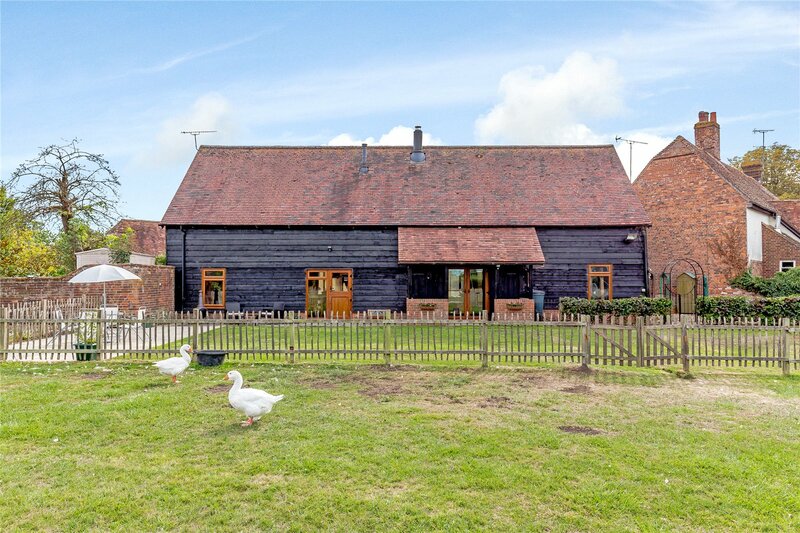 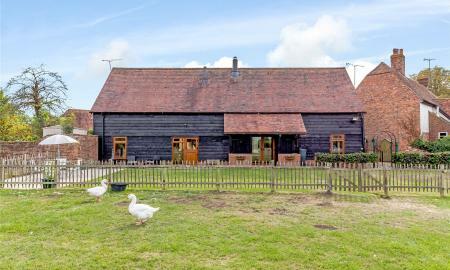 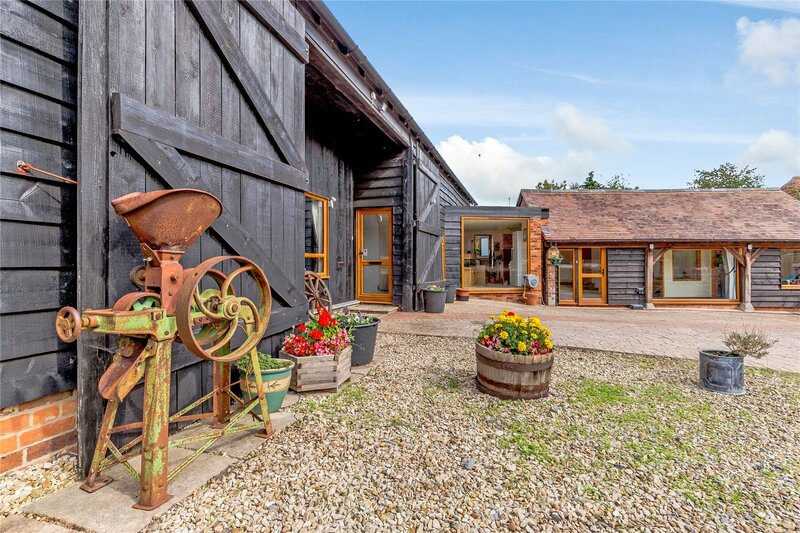 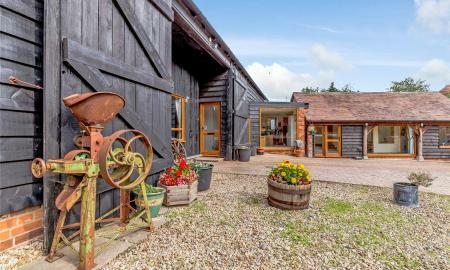 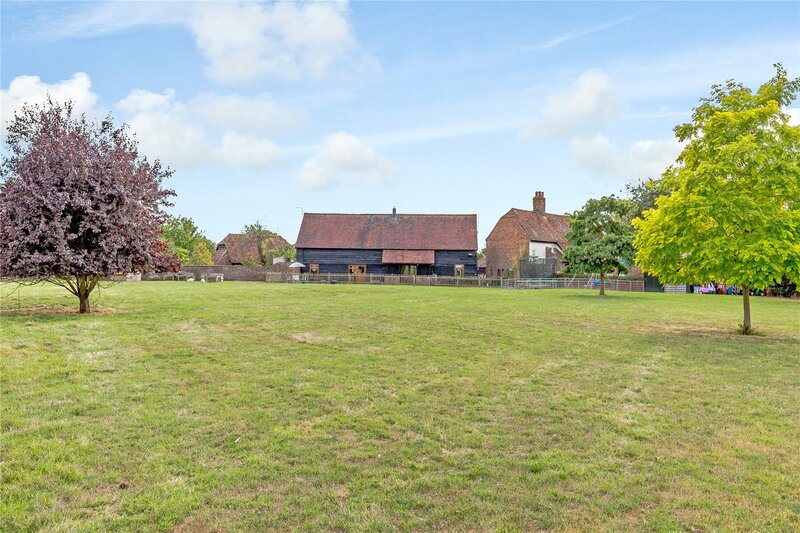 The property is bursting with character including exposed floor to ceiling oak beams throughout and feature barndoors that maintain the traditional character of the barn. 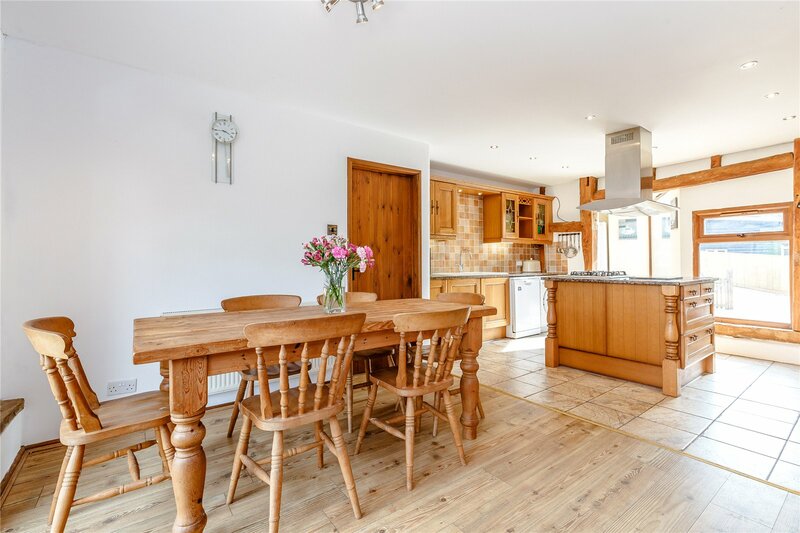 The property has five bedrooms, open plan kitchen/dining area, large entertaining/patio area in a private fenced rear garden with a courtyards to either side and a gated private driveway. 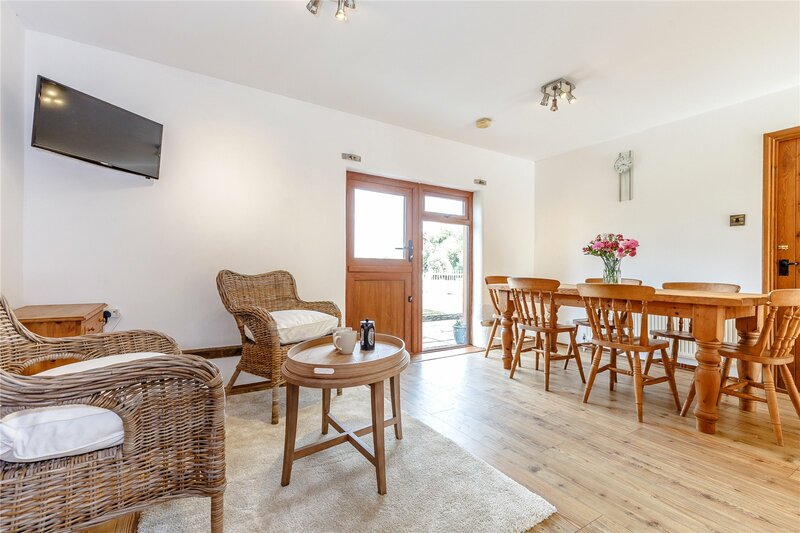 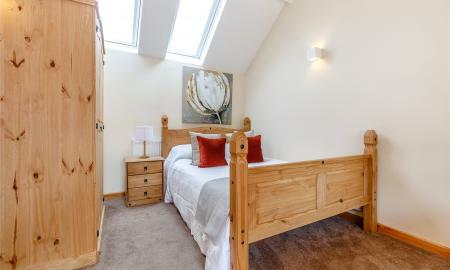 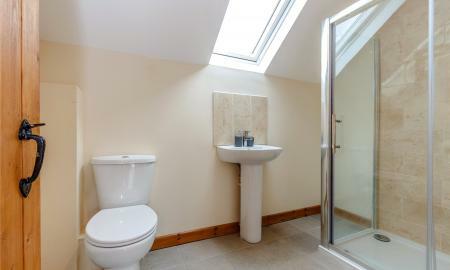 Accomodation  The entrance hall provides access to the open plan kitchen/breakfast room and sitting room. 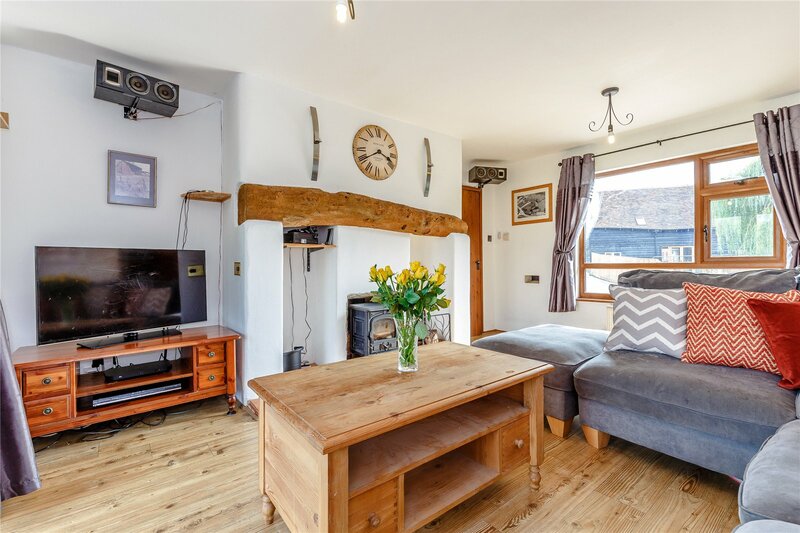 The sitting room has double doors to the rear garden with full height glass window flooding the room with light but the traditional features that includes exposed beam fireplace with log burner gives a cosy feeling. The open plan kitchen is perfect for contemporary family living, it has large double doors that open to the rear garden/patio area. 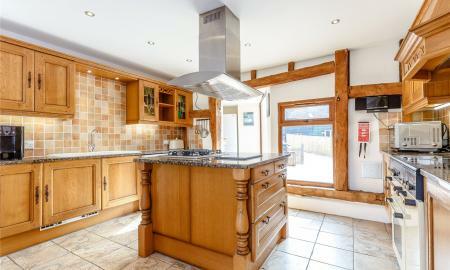 The substantial kitchen has large central island with integrated gas hob and feature marble worksurfaces. 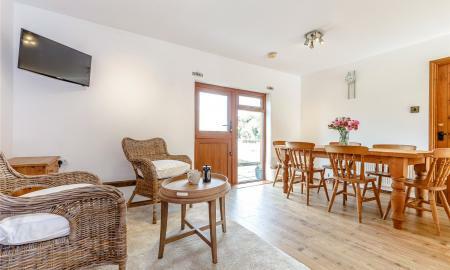 There is a range of floor and eye level units surrounding the island and includes space for a washing machine, integrated dishwasher, double rangemaster cooker. 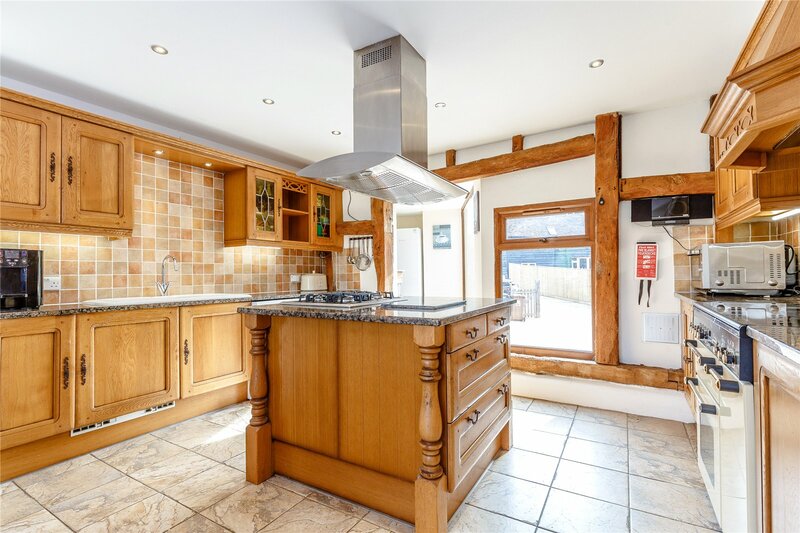 The kitchen leads to a large utility room which has a full height window and door that leads to the side of the property there is also unit and worktop space and room for white goods. 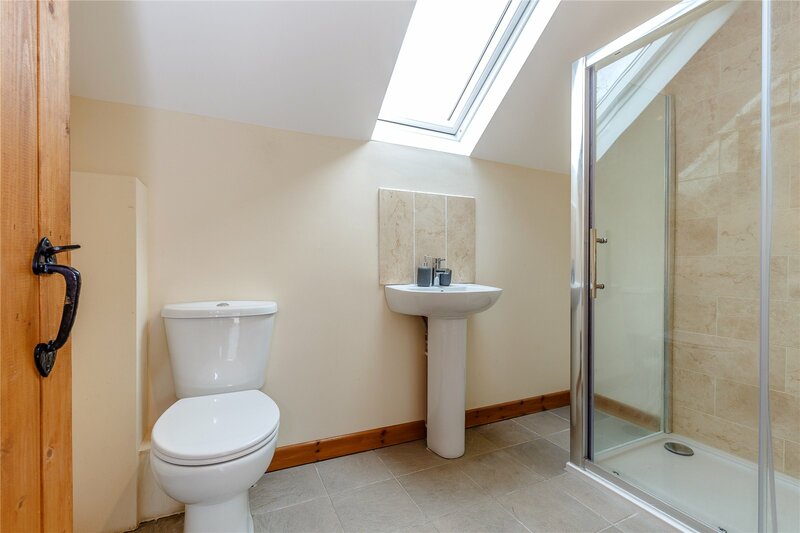 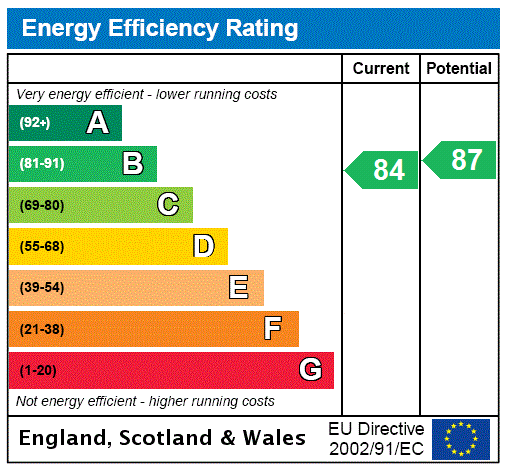 The utility also connects the house to the extension which offers access to the front of the property and leads to two double bedrooms with velux windows with separate shower room with toilet and basin. 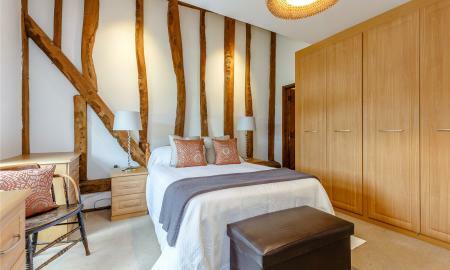 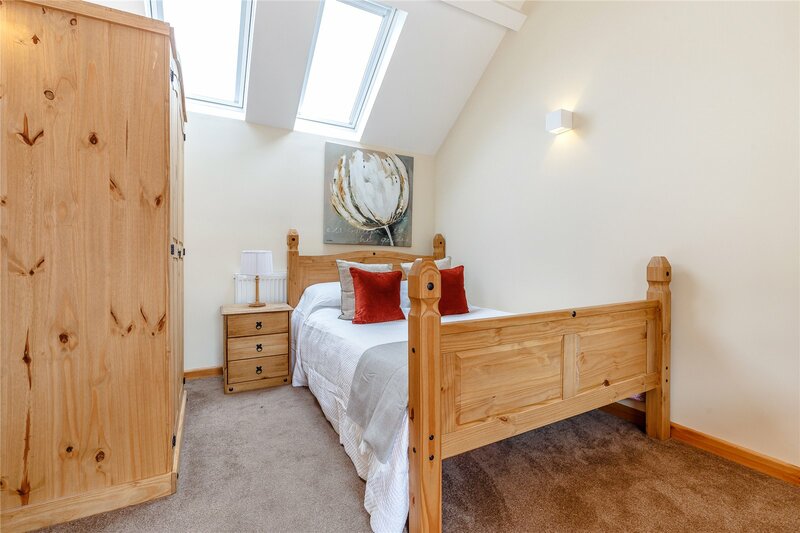 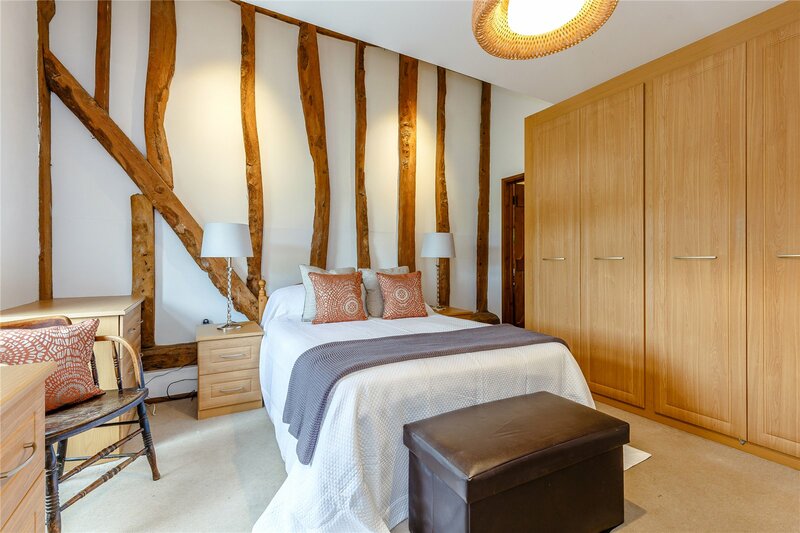 The original barn includes the master bedroom which has vaulted ceiling with exposed oak beamwork and has built in storage space and luxury en-suite bathroom. 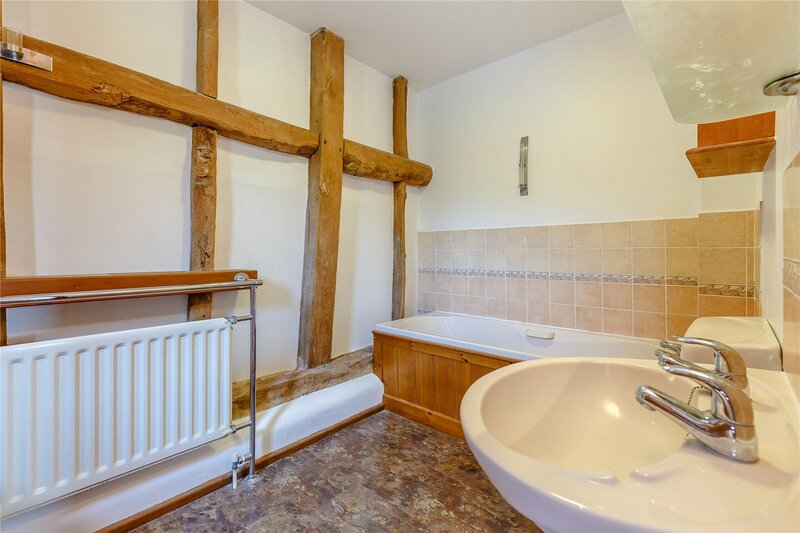 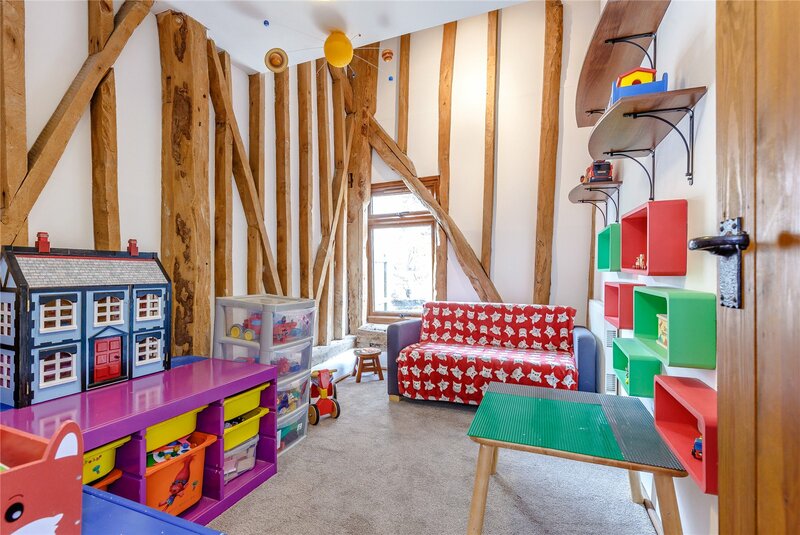 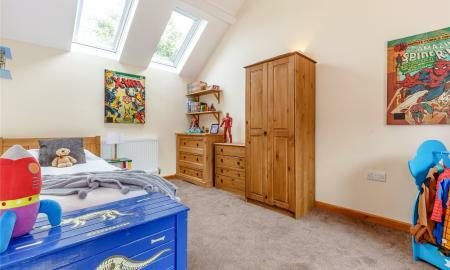 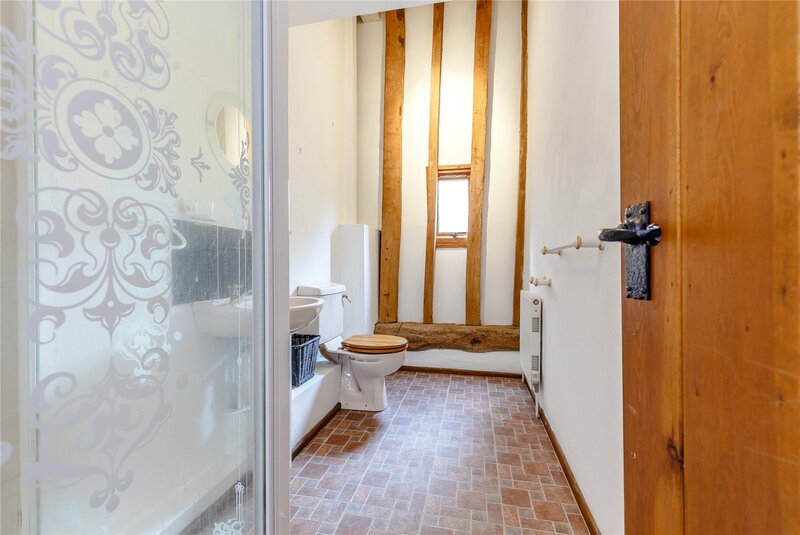 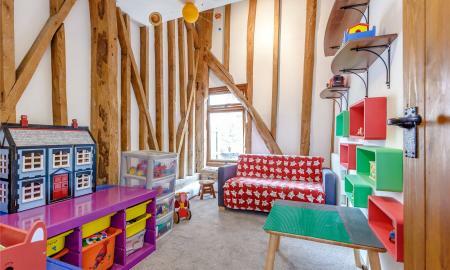 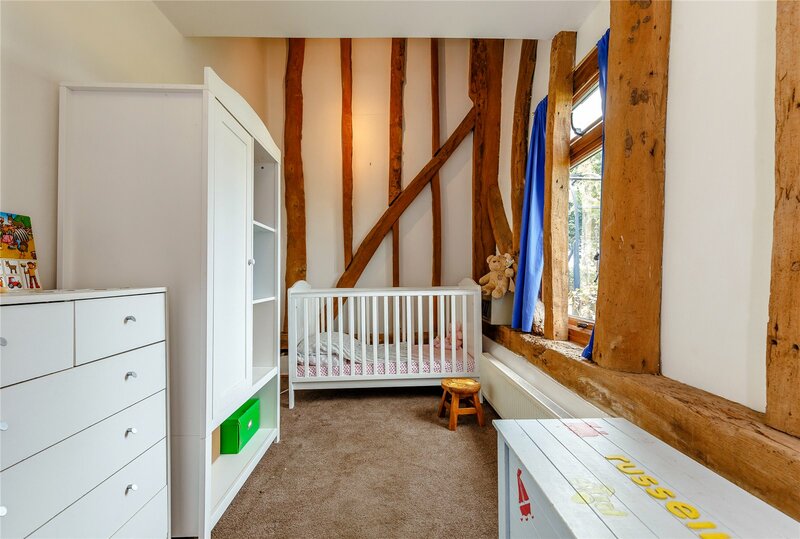 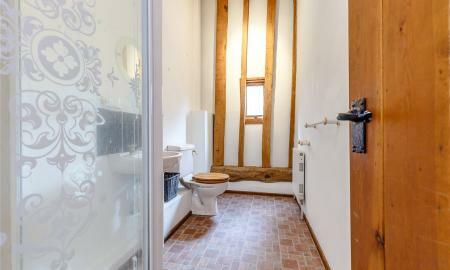 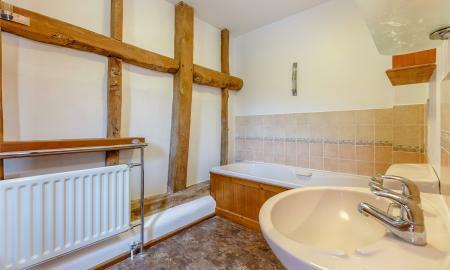 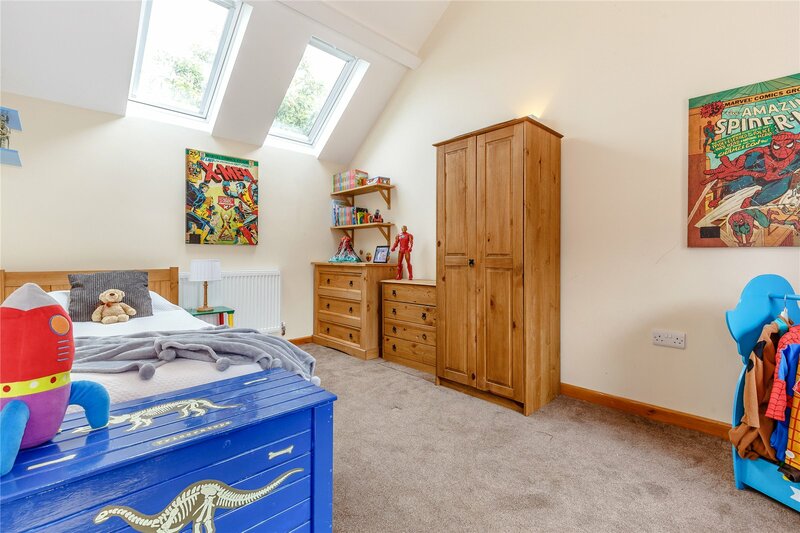 The original barn also includes two further double bedrooms with traditional vaulted ceiling and exposed timber beamwork and also family bathroom. 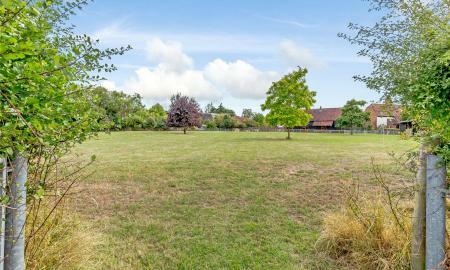 The property is situated in a large plot and has a large blocked paved, private gated driveway with space for several vehicles. 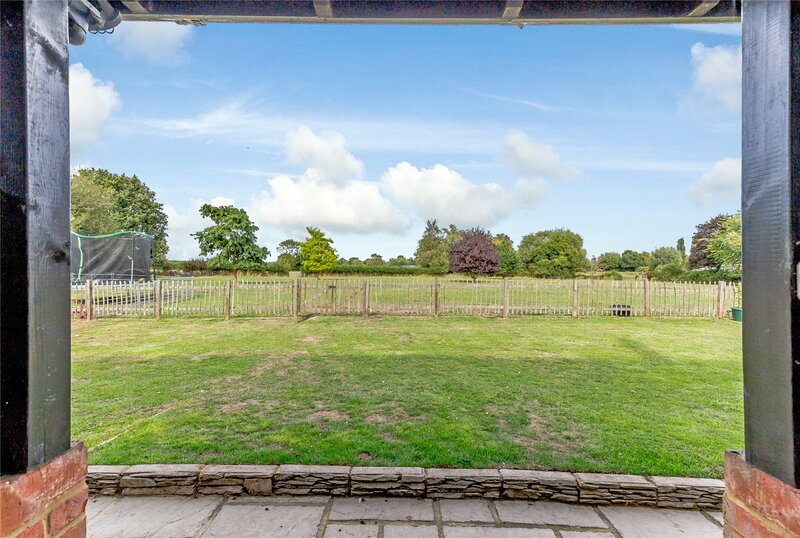 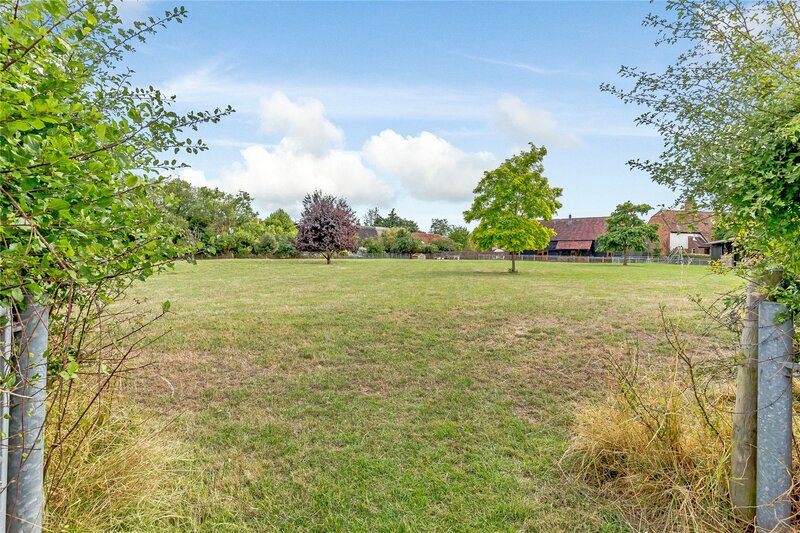 The private rear garden is mainly laid to lawn with entertaining/patio area that is fully enclosed by fencing and offers beautiful countryside views over open countryside and paddock area. 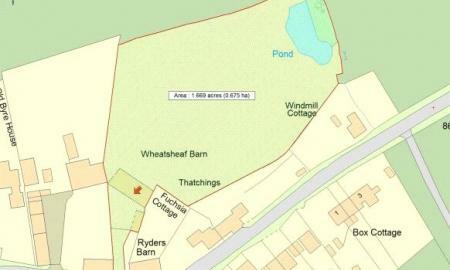 The paddock area is approximately 1.6 acres. 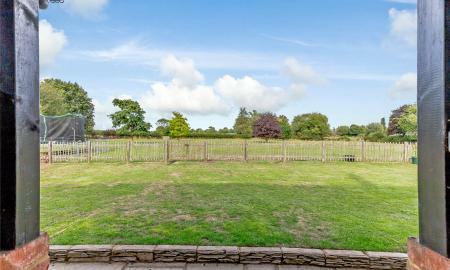 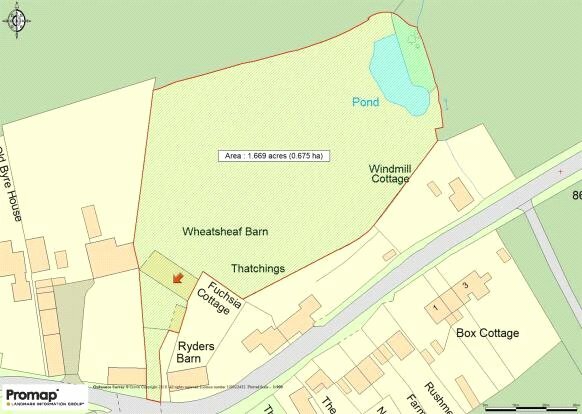 There is a small lake at the rear of the area and can be accessed directly from the rear garden. 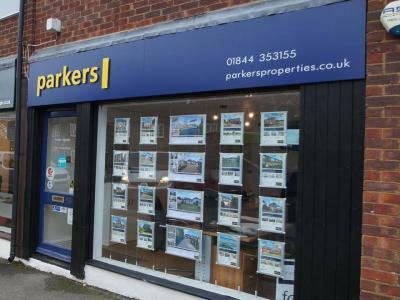 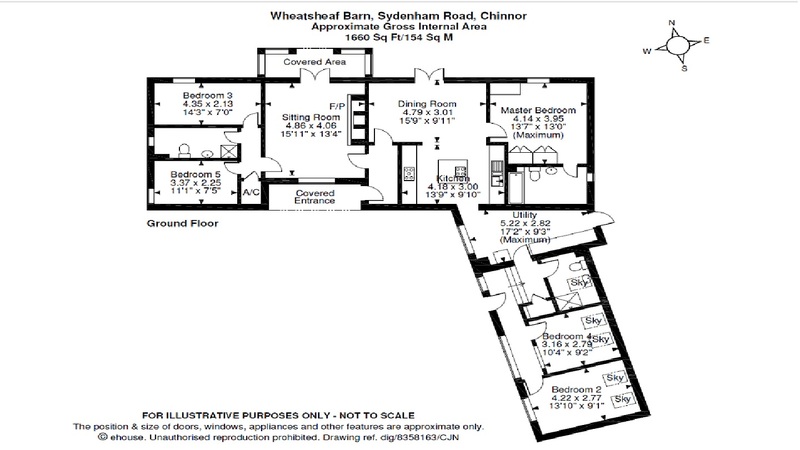 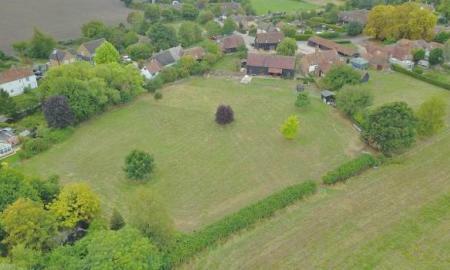 It is ideal for either equestrian or further development potential STPP. 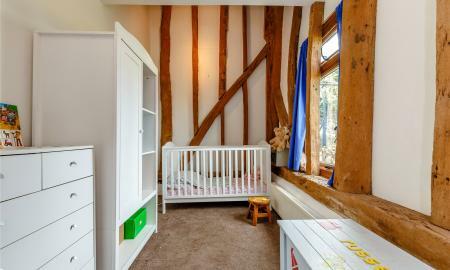 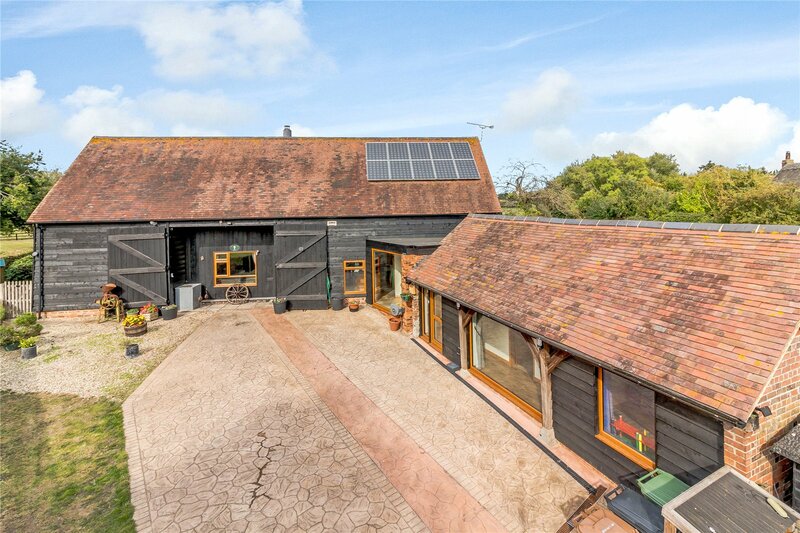 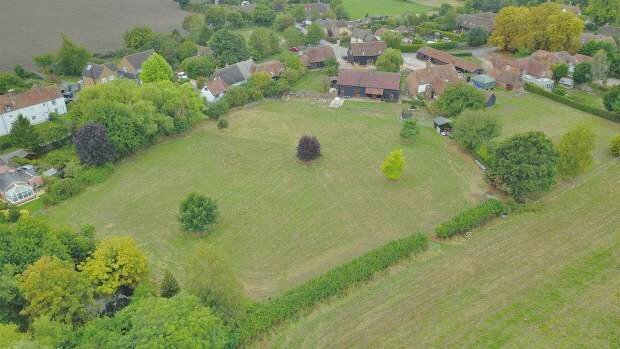 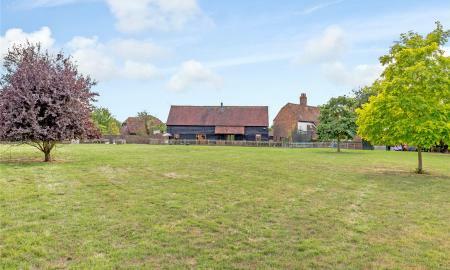 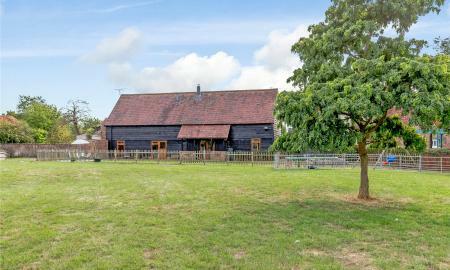 This is a rare chance to own a contemporary family barn conversion in a popular village with a large expanse of land.